The accommodation provided by the Mother Goose Bed & Breakfast comes in the form of cosy and elegant bedrooms with a queen size bed, electric blanket, flat screen TV and well appointed ensuite bathroom. In the evenings you can enjoy a complimentary glass of port before bed and in the mornings you can enjoy a leisurely breakfast in the well appointed sitting room or on the deck overlooking the garden. 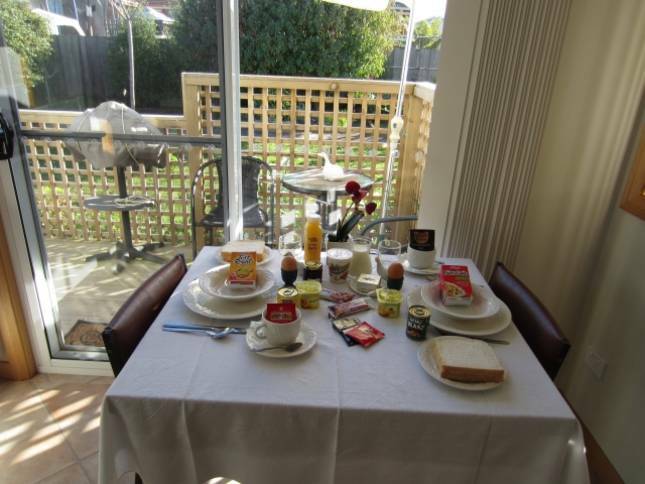 The Mother Goose Bed & Breakfast is ideally positioned in the North West of Tasmania, which makes it ideally suited for day trips to Cradle Mountain, Stanley, Launceston, Sheffield and the many historic towns and award-winning boutique wineries that are scattered amongst the lush rural countryside of North West Tasmania. Could you please let us know if these dates are available, Thank You.